In the grand story of fashion, with centenarian houses like Hermès, Chanel, and Louis Vuitton casting long shadows down increasingly crowded runways, 20 years in business may not seem like much. But Billy Reid has seen more in two decades than most people experience in an entire career. His first three years were the stuff sartorial dreams are made of. 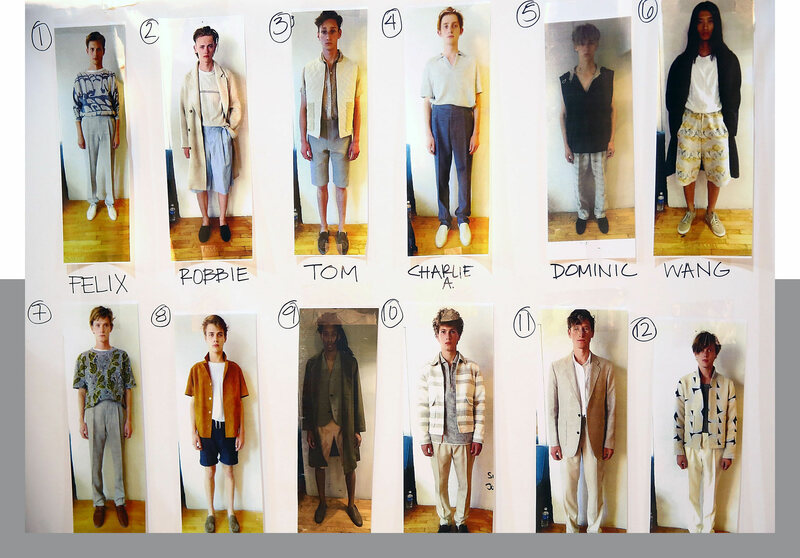 Reid hit the ground running in 1998 with his debut men’s collection, maintaining a rigorous pace that led to his first women’s collection just a few seasons later. His work was so well-received that by 2001, he achieved one of the industry’s highest honors: a CFDA award for Best Emerging Menswear Designer. It shone quite the light over his ensuing Fashion Week show, which seemed perfectly timed to catapult Reid from rising star to household name. That show was on September 10, 2001. Reid and his wife Jeanne at the 2010 CFDA Awards. Despite his formidable start, the fallout from 9/11 brought a swift end to Reid’s burgeoning career in New York. By spring 2002, the business was shuttered and he and his wife Jeanne moved to her hometown of Florence, Alabama. An abrupt change in circumstance like this was nothing new for Reid. Not only is he a Southerner, too—he grew up in Louisiana—but he had experienced similar detours before. In his younger years, he flunked out of the P.E. program at Southeastern Louisiana University, only to later graduate from the Art Institute of Dallas with a degree in fashion design and merchandising. That sense of connection and authenticity in his mother’s store drew Reid into his new community in Alabama. Living in Florence, not far from the storied Muscle Shoals recording studio, he began meeting musicians, chefs, and other creative locals who were using their hometowns as inspiration within their respective crafts. This pride rejuvenated Reid, and gave him a brand-new perspective. He set to work on new collections, and by 2004, opened shops in Dallas and Houston. A third store and design studio went up in an old house in Florence, a nod to his mom’s grassroots entrepreneurship. The lineup for a 2015 New York Fashion Week show. He quickly found that breaking through wasn’t as easy 1,000 miles away from New York. “It’s hard to get editors to come look at your collections when you don’t advertise and you’re not based in a fashion market,” Reid says. Luckily, he still had ties to New York. The lack of a garment district in Alabama meant that Reid manufactured out of Manhattan, which gave him the proximity he needed to break retail ground there. And so, on September 29, 2008, just more than seven years after that ill-fated Fashion Week show, he opened a store on Vine Street. And, like some cruel joke played by the fates of fashion, that was the day the stock market crashed. 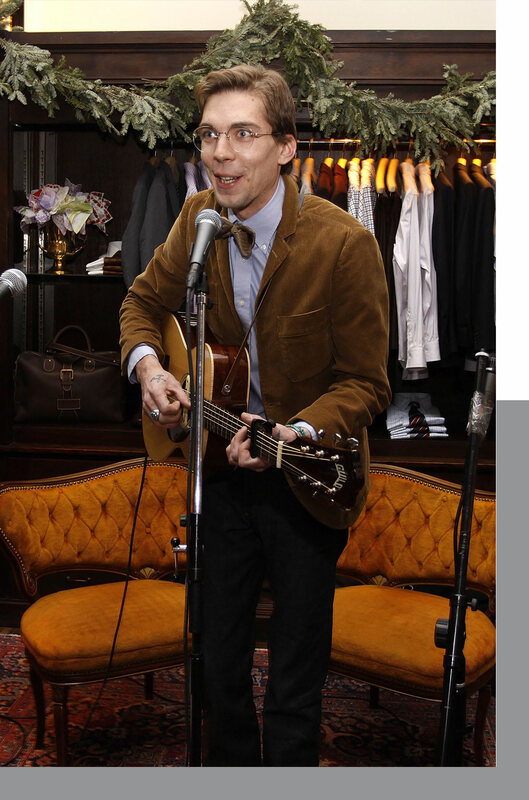 Justin Townes Earle performs at the New York store in 2009. Thanks to an increased retail presence, developing wholesale relationships, and Reid’s bootstraps mentality, this second blow wasn’t fatal like the first. He managed to keep the lights on this time. In fact, the nation’s financial crisis led to an interesting idea. In an effort to stimulate local economy (and to boost the editorial buzz his brand was missing), Reid started throwing what he called “pulled-pork parties” at his New York store. The first one, in 2009, drew about 60 customers and fashion editors. Within a few years, the crowds had swelled to upwards of 700 people—which wasn’t exactly cool with the NYPD—so Reid moved the whole thing down to Alabama. What started as a quirky block party has become a bona fide fashion, food, and music festival. Shindig has featured everyone from James Beard–awarded chefs to Grammy–winning performers such as Jack White, Dan Auerbach, and Kacey Musgraves. It’s an event that has put both Reid and his quiet corner of Alabama on the map. His 20th anniversary collection celebrates his beginnings. A unisex wool sweater emblazoned with a tiger commemorates his 1998 debut—the Year of the Tiger on the Chinese zodiac calendar—as well as LSU football, a lifelong passion of Reid’s. The Charles button-down shirt is named after famed civil rights photographer Charles Moore, a neighbor and friend of Reid’s who also shot his first ad campaigns after the 2004 relaunch. 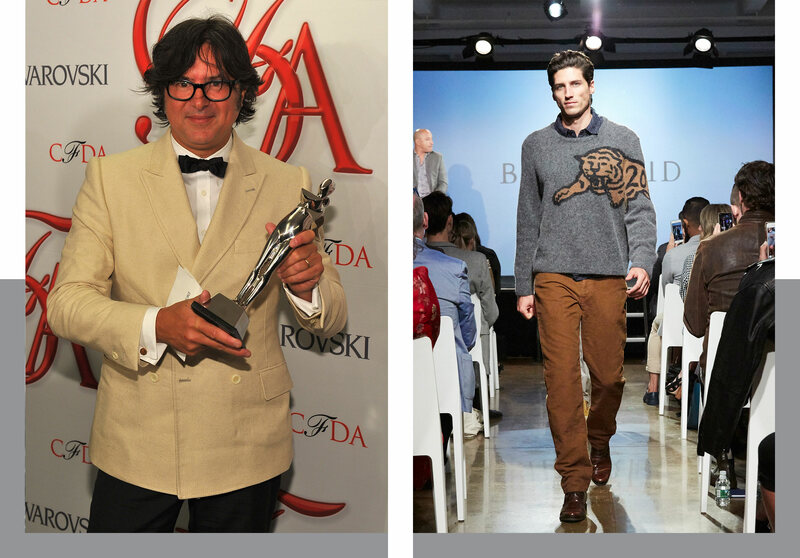 Left: Reid with his CFDA Award for 2012 Menswear Designer of the Year. Right: The limited-edition Tiger Crew sweater walks the runway at Nordstrom Live in 2018. Like any good Southerner would know, America always loves a comeback.